Lining them up this New Years Eve. 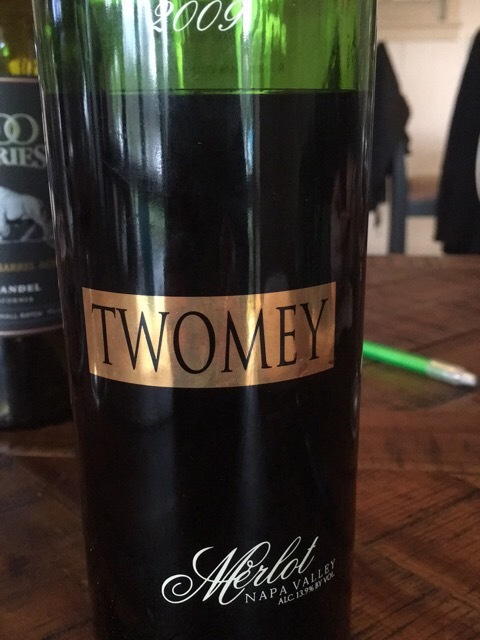 Silver Oak Cellers hits a good note with this Twomey 2009 Merlot. $50-ish. I’m not sure. It’s been in the cellar a few. Complex blackberry, black tea, dried herbs, cola, dill and tobacco. Not on the EveryDay list…but splurge worthy for New Years Eve and football. Have a safe evening. I’m not driving anywhere!! We will try a Pasqua 2013 Amarone with a standing rib roast and Rosace à l’Orange from Mary Berry tomorrow. Tonight bubbly at home; like you, no driving tonight. Hugs and may you guys have a lovely 2017 – and thanks for the blog this past year.